I would like to share with you a pair of Easter bunnies I made for my Easter decor previously. 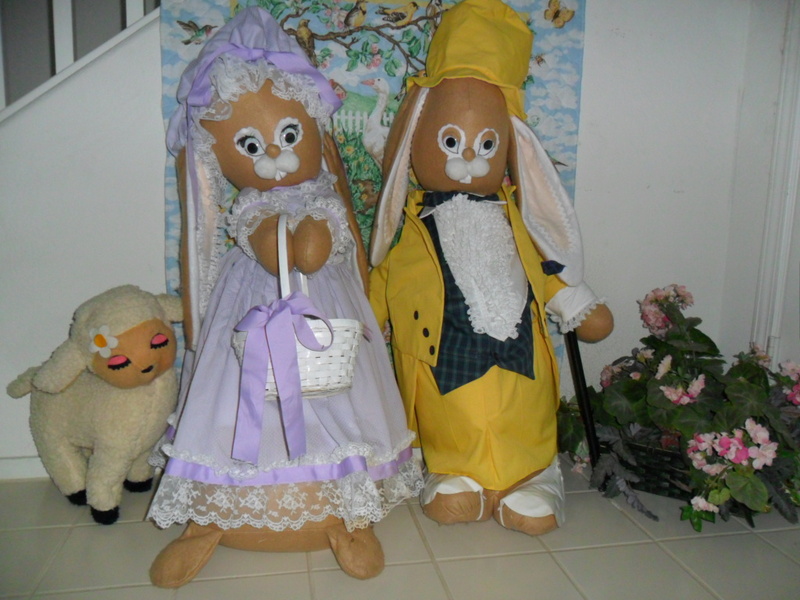 They are my most popular Easter decorations. Both are approximately three feet tall with felt bodies. A poplin suit and dotted swiss dress. Bunny Huns and Rodi bring back a lot of fond Easter memories. Annette had so much fun growing up with this pair!